It’s been a while since the last blog update here on Cthulhu Reborn, and as usual the reason is that I’ve been busy working on all manner of intriguing projects for other folks … most of which I can’t (yet) talk about. But one thing I definitely *can* talk about is the work I did for Pelgrane Press as part of their insanely-ambitious uber-Kickstarter project to create the Dracula Dossier. 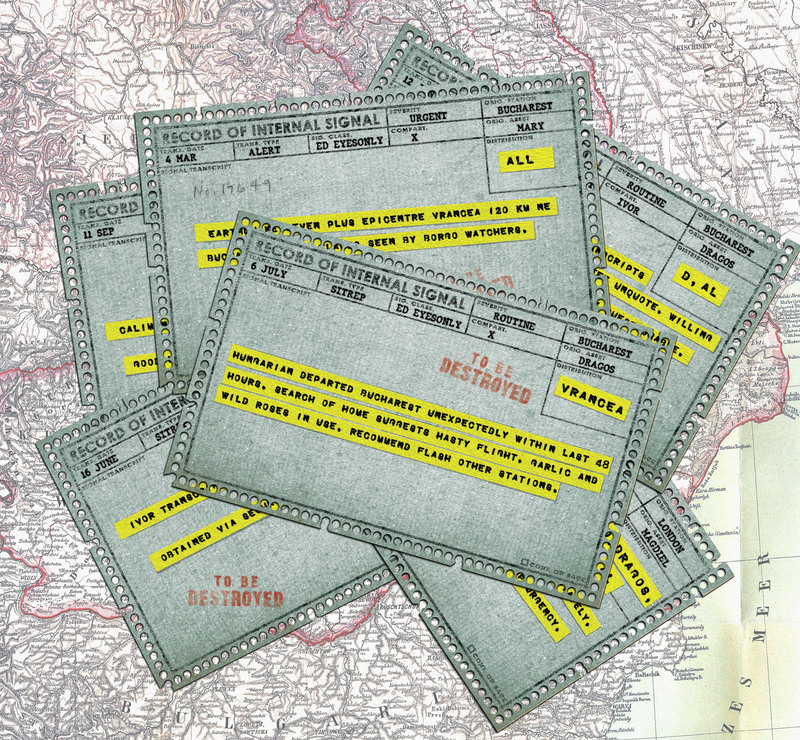 For those who didn’t follow this project, the Dracula Dossier is a sprawling and diverse resource for Night’s Black Agents — Pelgrane’s Gumshoe-fuelled RPG which blends vampires with the cold, hard world of spy-thrillers. The game itself is the creation of Ken Hite (known to Cthulhu gamers for Trail of Cthulhu and Ken Writes About Stuff, but truly someone who has a vast gaming resume) … for this project he is teamed with Gareth Ryder-Hanrahan (whose Cthulhu-related credits include The Laundry, World War Cthulhu, but again who has worked on lots of other amazing stuff too). So … what’s it all about? Well, the Dracula Dossier isn’t a campaign in the sense of being a pre-built narrative, but rather a toolkit from which an enterprising Gamemaster could create an infinite number of different but related campaigns. 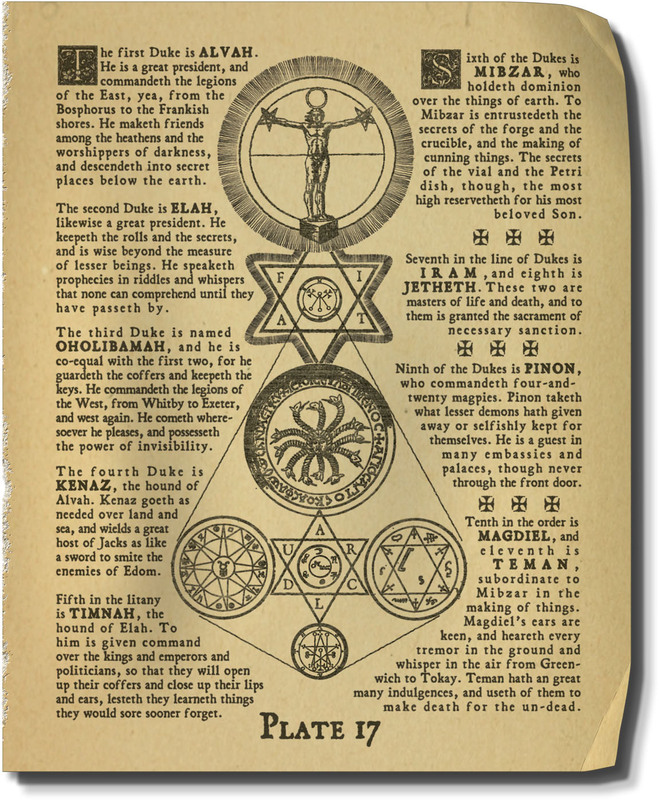 The basic premise behind it all is that the events described by Bram Stoker in his original novel were actually based somewhat on real happenings resulting from secret government machinations. As a disinformation campaign, Stoker was forced to redact his original — much more factual — draft of the account and release it as a work of fiction. 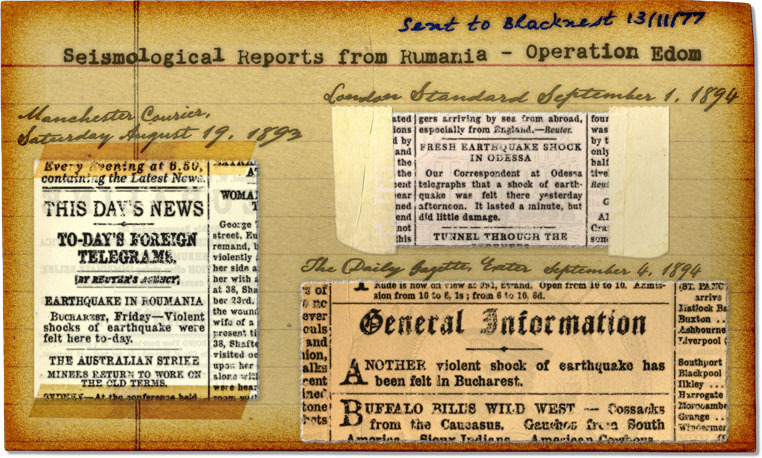 But the original still exists, and has been studied by generations of intelligence analysts and spies, some of which have annotated it to record their own observations or to note some current event which seems to them related to the Stoker original. The game resource comes in two parts: one is the aforementioned unredacted and annotated version of Bram Stoker’s “Dracula”. Yep, that’s right, players get 200+ page hand-annotated novel as the core clue which launches the campaign. By following up on clues, hints or speculations in those pages, they start to investigate the truth behind what happened when Dracula was in Victorian London … but also other intelligence operations that happened before and after that incident. Those investigations lead to encounters with modern-day organisations and individuals tied to those operations … and the whole thing snowballs from there. But, rather than there being one pre-defined plot, the Dracula Dossiers provides (in the second book) a vast collection of NPCs, places, encounters, organisations, etc., any of which *could* be used by the Gamemaster to fill a particular narrative requirement. This allows for a completely improvised campaign customised to whatever the players are interested in. Trail of Cthulhu readers who have Pelgrane’s Armigate Files will be familiar with this general approach — though it’s still a pretty experimental style for RPGs. Anyway … that’s the project in a nutshell … so what was my involvement in this vast undertaking? 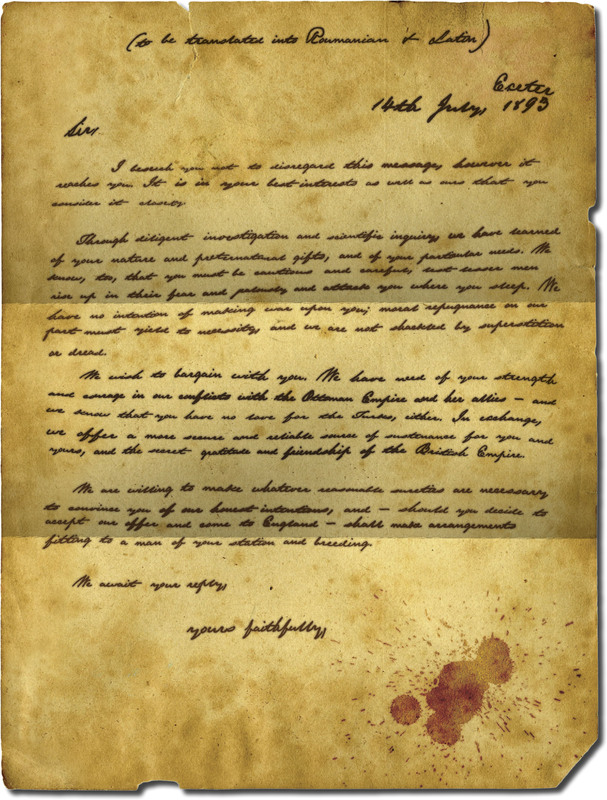 Well, one of the (many, MANY) stretch goals for the Kickstarter campaign was the creation of something called the Hawkins Papers, a collection of prop-quality documents which Gamemasters could use when running their own Dracula Dossier’s campaign. I was extremely honoured (and surprised) when Pelgrane approached me to craft the designs for these prop documents. It was a relatively large and time-intensive job, in part because the documents span so many different eras and styles (each of which I needed to research). But it was also an immensely enjoyable thing to do … in no small part because all the folks involved in the production were extremely enthusiastic and great to work with (in particular, publisher and project-wrangler Cat Tobin). In all I think my contribution spanned to about 48 pages of prop documents, plus some other minor graphic design assistance here and there. If you backed the Dracula Dossiers Kickstarter, you will probably have already seen the Hawkins Paper (PDF) which contain my designs … if you are merely curious, you can check out a selection of the designs scattered through this post … but also collected on this portfolio page. If the quality and level of detail of these prop documents entices you to consider buying The Dracula Dossiers, I would certainly encourage you to scoot over to Pelgrane’s site to learn more about the product. And if your gaming interests don’t extend beyond the world of the Cthulhu Mythos, you shouldn’t dismiss the Dracula Dossier altogether — as part of yet ANOTHER stretch goal unlocked along the way, the books also include The Trail of Dracthulhu, a campaign frame that links Dracula’s doings back to the forces of the Mythos allowing an improvised game that is both Dracula-ish and Cthulhu-ish. An intriguing blend of horrific things. Oh … and one last thing that may be of interest to some: to celebrate the release of the Dracula Dossier, Pelgrane have declared this month the “31 Nights of Dractober” and are posting daily reveiws of classic vampire films from the dawn of cinema to today. Some really interesting gems. This entry was posted on Monday, October 12th, 2015 at 1:23 am	and posted in News & Updates. You can follow any responses to this entry through the RSS 2.0 feed.